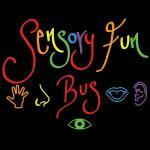 The Sensory Fun Bus has been created to overcome barriers that prevent people from accessing a sensory room environment. From babies, individuals with sensory processing disorders or people who just enjoy a sensory room experience we can come to you! We boast a great variety of features within The Sensory Fun Bus, which unlike many sensory rooms, can be adapted and customised depending upon your needs AND we come to your doorstep!